As a business person, advertiser, or marketer, what would you give to have the means to reach roughly one-quarter of this world’s population? You know how important it is to be able to reach existing customers and find new ones; you know how important it is to find out valuable information that will help you create the perfect sales pitch and fine tune your audience targeting; you know how great it would be if you could do all of this without having to spend an ungodly amount of money. And that’s where social media comes in. 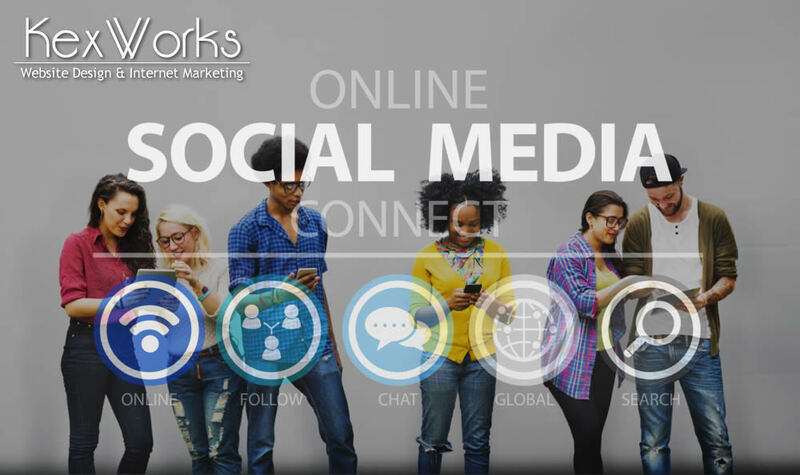 A dozen of the world’s biggest social media websites will give you everything you need – access to a lot of people, the information you need to improve your targeting, and to control your social media efforts so that you get the results that you need without going bankrupt. In fact, social media has become an indispensable part of doing business today, and its ability to help businesses grow shouldn’t be understated and overlooked. Here’s the breakdown of the top reasons your business needs you to put your trust in social media. Let’s look at some numbers. There are over 3.1 billion of Internet users in the world, and they have around 2.2 billion of active social media accounts. There are even more mobile users – 3.7 billion, and they have 1.9 billion of social media accounts. And best things about these numbers is that they’re constantly growing – more and more people are becoming Internet users, and more and more Internet users are becoming social media users. You could, and should, use social media as a way to spread the word about the awesome offers you have on your own website. You can share your content over social media, you can create posts about the sales you’re creating, or new products – as long as it links to your own website, it will do. No matter how much effort you put into your website, the content, or the things you offer on it, it’s not worth anything if no one sees it. And social media help all the good stuff you offer to your customers be seen. People will take to specialized directories and social media to review your products or services. It is a double-edged sword because good reviews can help your business a lot, while bad reviews can bury it. And there will always be people who are unsatisfied, no matter how hard you try. But as long as these bad reviews are few and far between, you’ll be alright. And if they’re not, you’re probably doing something wrong with your business. Either way – reviews give you the valuable feedback you can use to better yourself and your business. When people see something they like on social media, they might comment on it or spread the word about it. The more your customers are engaged with your social media posts, the more visible they will be. Their friends will be able to see that they commented on your posts, or shared your posts, or liked them. Social media lets you spread the word about your business without actually doing much – all you need to do is create the content, and let your customers do the rest. The best thing about all the great ways you can use social media to grow your business is the ability to measure the results. You can use metrics to figure out which social media outlets are sending the most traffic to your website, how much of those people are actually buying anything (or doing whatever you want them to do on your website), and then make a decision to increase your efforts on those social media outlets, or decrease it, or change things up to get more out of it. You can also see what types of content are the most engaging, and how much that engagement pays off. You can track any metric you want, and fine-tune your website and your social media present to give you the biggest bang for your buck.